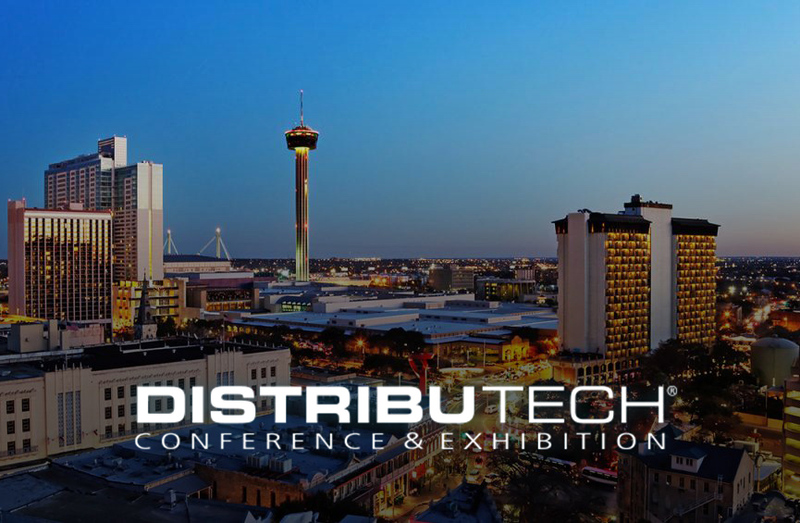 PTR’s Mike Sheppard had the opportunity to visit DistribuTECH last week in San Antonio, Texas which took place from January 22-25 and covered the latest advancements in materials, manufacturing processes, and system integration for this emerging industry. The show, similar in nature to European Utility Week; however focuses on the North American market with its respective grid topology. Going into the conference and exhibition, PTR’s research objectives at the show were twofold: first to understand grid and business model considerations for EVs; and second to find out how IIoT (Industrial Internet of Things) via substations and AMI (Advanced Metering Infrastructure) is developing in the North American market. DERMS platforms reign king, but expect disruption in the near future. Despite the case studies for AMI still coming in with over a dozen conference presentations on collection and organization of meter data, there were quite a few on the ‘What Now?’ part of the equation. This is where the market is focusing even more on DERMS (Distributed Energy Resource Management System). In application, the focus this year was on the software platforms from venders and platform venders like AutoGrid and OSISoft. If one were to draw parallels to Gartner’s hype-cycle, we would definitely be just past the peak of ‘heightened expectations’. This market has more participants than ever, very difficult to identify differentiation for most of the companies or clear market leaders. Despite touting hundreds of customers, these figures are misleading as utilities are trying out multiple solutions simultaneously without committing to large-scale deployment. Platform venders were grumbling that utilities are only using a fraction of the feature sets offered, tending to focus on areas like Volt/Var control first which would classify as ‘distribution flexibility’ for an AutoGrid or ‘Substation monitoring/Voltage Reduction’ for an Aclara. From passive monitoring to [re]active control. Despite smart meters being deployed at scale over the past decade, hitting 70 million units in 2016 according to our friends at GTM, actual data collection and analytics have only been applied over the past 3 years at most utilities. This information though is quite sufficient to influence distribution planning, especially in networks with high penetration of DERs. The conclusion, combined with an understanding of new behaviors in the form of EV adoption, points to a greater need for control in the distribution grid. This not only requires better use of those SaaS solutions described above, but also via physical assets located changing the topology of the grid. From a practical perspective, these assets will be located between distribution feeders and the grid-edge (meters, DERs, EVs). This new layer of control added to utility requirements leads to new-ish business models. Of course the concept of distribution control is not new with filters, reactors, and capacitors already existing in distribution substation; however, placement closer to load centers is now seen required. Learnings from the telecom infrastructure industry has placed companies like Cisco, Nokia, and Honeywell or operators like Verizon in a strong position to partner with these devices, now requiring new or enhanced bandwidth to communicate. Residential, the new Commercial segment? Put another way, the normalization of the prosumer is forcing utilities to treat their residential segment as they would their commercial segment. Companies like Grid Bridge who was recently acquired by ERMCO or ABB with their Digital Transformer have protection and control equipment offerings located on, or in, the distribution transformer. These companies are utilizing established relationships as component suppliers to get these systems installed and piloted. In addition, they are providing their own software platform offering, in most cases for free with equipment purchase, and something the SaaS providers need to be cognizant of. It could very well be that these components, with associated platforms, partially cannibalize the value proposition of software-only solutions. Vertical integration in this new segment could be on the horizon as we rapidly approach the ‘trough of disillusionment’ in this sector. Transactive business model enables EV acceptance. In support of PTR’s upcoming report on EV Industry Impacts, we interviewed key industry stakeholders at the event to understand how the industry is preparing for the EV. What we found was Transactive Energy is the solution on everyone’s mind when it comes to EV integration. In fact, PTR believes this business model to be the ideal way to account for EV and a driver of blockchain solutions in a V2G world. But to only have one solution available forecast in this segment is not realistic given those same prosumers are now owning a large portion of the grid-edge and they want control (or at least an appearance of such). Nearly all interviewed participants believe there will be an array of solutions provided simultaneously, in essence electricity arbitrage covering not only true power but also reactive power via DERs, storage, charging infrastructure, and EVs.